Welcome to Primary Spine Care at the highest level. 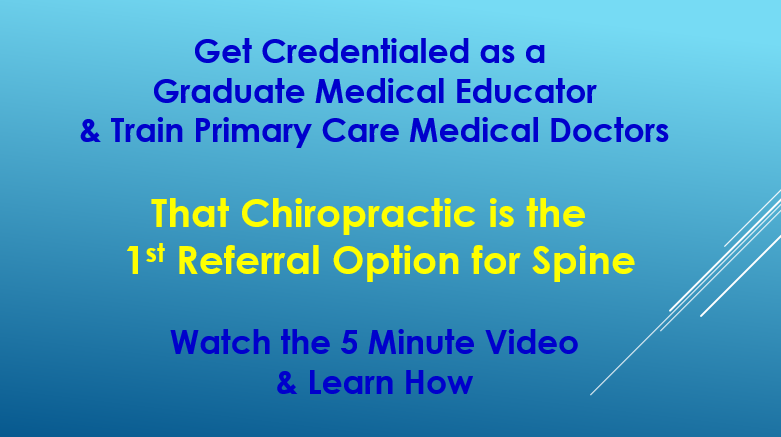 The Academy of Chiropractic has worked for 10 years to position you as the authority in healthcare on mechanical spine issues to become the first referral option. The challenge is getting medical primary care providers to realize the "Medical Dogma" of referring to physical therapy or surgeons as their first option and based upon the evidence, get them to change their pattern of referrals. We have provided the indexed, peer reviewed literature to verify they are currently referring to a "failed care path" and utilizing chiropractic has far better outcomes for mechanical spine issues using multiple evidenced based parameters. The goal has always been to lead through academia and we have worked closely with the State University of New York at Buffalo, Jacobs School of Medicine and Biomedical Sciences, Post-Graduate Department in an interprofessional program and Cleveland University-Kansas City, Chiropractic and Health Sciences to either credential our continuing education courses and/or recognize our programs and give you the credential "Graduate Medical Educator." 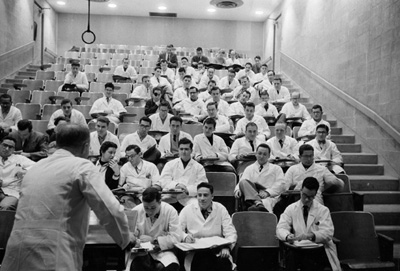 It is through academia that you will directly be interfacing with medical primary care physicians and TEACHING THEM the evidence for "Chiropractic First." This positions you to be the solution, when triaging for mechanical spine issues based upon your advanced training. 3. Fill out and return the CME Application & individual course fee to be credentialed through the medical school [Jody will send you the form]. Your licensure status must be independantly verified first and your CV must pass the requirements [henceforth the Trauma Team]. Power Point and training) will be sent once the application and fee has been received.